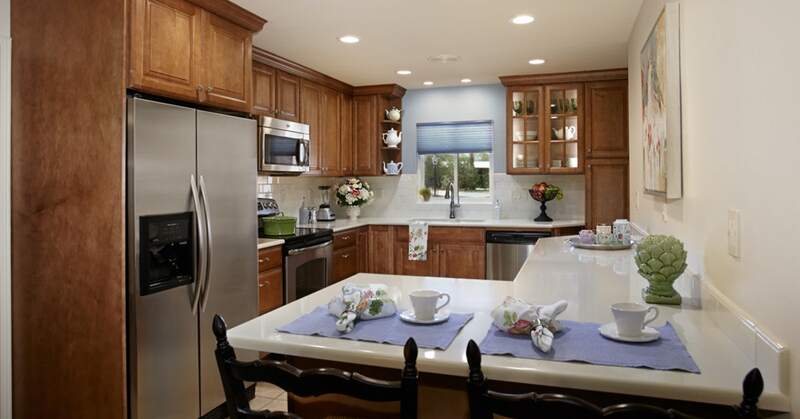 > Kitchen Remodeling > Kitchen FAQ: How Long Will My Tucson Kitchen Remodel Take? Kitchen FAQ: How Long Will My Tucson Kitchen Remodel Take? That’s not an insignificant question, since your kitchen is probably the hub and “command center” of your home. Living with your “hub” in turmoil affects everything—and everybody in your home. Of course there’s not one “correct” answer to the question of how long it’s going to take. The scope of your renovation will play a big role in how long your kitchen is out of commission. Still, it’s helpful to have some idea of what to expect. Here is a rough framework that will help you plan around the inevitable inconvenience. And rest assured—it will be worth it. Countertop: 1 day for fabricator to measure space and order material. Delivery of countertops about 1-3 weeks for laminate,; 2-4 weeks for solid surface; and 2-5 weeks for stone. Then 1 day to install.